A claim for Maryland workers compensation benefits can be reopened at a later date if the application for reopening is made within 5 years of the date of the last compensation payment and there is ample evidence to support the reopening and worsening of the workers condition. Many cases never come up for reopening either because the cases are settled or the injuries do not warrant additional treatment after the claimant reached maximum medical improvement. If the case goes to permanent disability, it would be difficult to get additional worsening without more treatment after the initial award for permanent disability. In Maryland, an injured worker can get additional money for worsening of condition in the form of temporary total disability benefits, temporary partial disability benefits, permanent partial disability benefits or permanent total disability benefits. The typical claims that generally are subject a reopening in Maryland are the cases that involve a serious injury and require years of pain management or surgical treatments. In these cases, the lawyers and claimants want to be very cognizant of the deadlines for filing the application to reopen the case. If not filed timely, the case will be lost on limitations at the Maryland Workers Compensation Commission. In the District of Columbia, after having received monetary benefits pursuant to a formal valid order, the claimant must file for a worsening of condition within one year from the date of the last compensation payment or within three years of the claim is for loss of earning capacity. 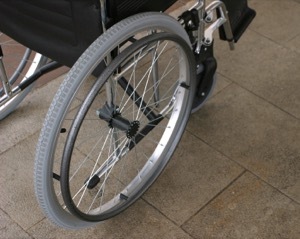 No further temporary total disability payments will be allowed except in certain circumstances. The claims for worsening of condition approach much quicker on the calendar for reopening of condition than the claims do in Maryland. The one year statute of limitations in Washington D.C. applies to those injuries on the schedule of losses. The most common body parts on the schedule of losses are arms and legs. There are other body parts on the schedule of losses. In a case for worsening of condition in either Maryland or the District of Columbia, if the injured worker is seeking additional money for permanent disability benefits, a new permanent impairment rating should be obtained. That rating should set out the additional medical treatment which the injured worker had as the basis for the increase in permanent impairment. The correct edition of the AMA guides should be referenced as well as the appropriate tables the rating physician used in arriving at the permanent impairment rating. Currently, Maryland and the District of Columbia use different versions of the AMA guides to permanent impairment. Additionally, the physician should set out how many additional points are being given to the injured worker for the five factors of pain, atrophy, weakness, loss of function and loss of endurance. When going to the hearing on worsening of condition, the attorney for the claimant will want to include all new treatment since the last permanent impairment rating, the prior permanent impairment rating, the new permanent impairment rating and any orders or awards which they are seeking to increase.